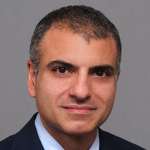 Caz Hashemi is a partner at Wilson Sonsini Goodrich & Rosati. Caz has extensive experience representing clients in government investigations by the SEC, DOJ, and other regulatory agencies, as well as in securities class actions, shareholder derivative lawsuits, stockholder litigation demands, and related litigation matters. Caz has developed a particular focus on representing clients in the most complex and sensitive matters, including financial restatements, accounting and disclosure issues, whistleblower allegations, potential violations of the Foreign Corrupt Practices Act (FCPA), insider trading, missed guidance, executive compensation, and Regulation FD. Corporate boards, audit committees, and special committees often call upon Caz to conduct internal investigations involving these issues. In SEC investigations, Caz represents clients at every stage—from the inception of an SEC inquiry through litigation. On many occasions, an enforcement action ultimately has not been filed, including for Netflix and its CEO in an SEC investigation of first impression related to the application of Regulation FD and the use of social media. In his securities class action practice, Caz recently argued and won a case before the U.S. Court of Appeals for the Ninth Circuit in a lawsuit filed against Align Technology and its executives (City of Dearborn Heights v. Align Technology, Inc., et al.). The decision is significant because the Ninth Circuit affirmed dismissal, applying for the first time the U.S. Supreme Court’s Omnicare standard for pleading falsity of opinion statements in the context of securities fraud claims. During his career, Caz has represented many leading companies, including Align Technology, Brocade, Computer Sciences Corporation, Juniper Networks, Logitech, Netflix, Polycom, and Symantec. Prior to joining the firm, Caz served as an enforcement attorney in the SEC’s Division of Enforcement, where he investigated potential violations of the federal securities laws. Caz frequently speaks about internal investigations, government enforcement matters, private shareholder lawsuits, and corporate governance issues.